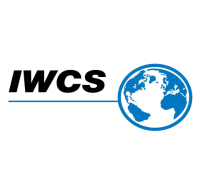 Windak Group inviting you to IWCS Conference 2018 to present you all their innovative developments for Wire and Cable industry. Company specializes in automatic packaging solutions for the wire and cable industry and has offices in Sweden, USA, Australia and Estonia. 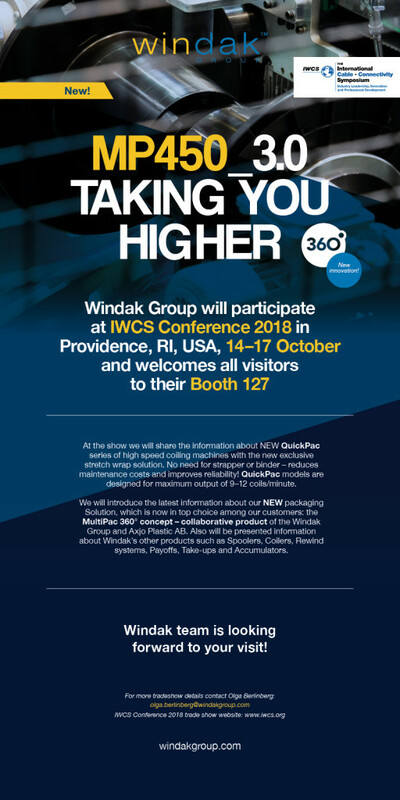 At the show Windak will share the information about NEW QuickPac series of high speed coiling machines with new exclusive stretch wrap solution. No need for strapper or binder- reduces maintenance costs and improves reliability! QuickPac models are designed for maximum output of 9-12 coils/minute. Together with co-owner Axjo Plastic AB they would like to introduce the NEW exceptional 360° concept - Automatic spool assembly machine MP450_3.0 and Axjo’s MultiPac spools. Axjo’s MultiPac spool is divided in the middle and has a slightly conical barrel. This allows each half of the spool to be stacked, this means that up to three times as many spools can be loaded on a trailer. Windak team is looking forward to your visit!